This post was written by P Ling, who is a travel writer for Uptake and also runs the Triphow blog. A â€˜Kamaainaâ€™ in Hawaii is someone who is a native or has lived in Hawaii for a long time. 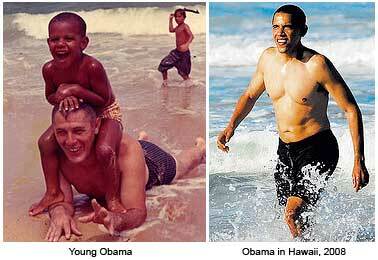 President Barack Obama was born in Honolulu and spent most of his childhood and youth in Hawaii. So when President Obama visits Hawaii along with First Lady Michelle Obama and daughters Sasha and Malia on a family vacation, it is as a Kamaaina. As a travel writer, I always recommend travelers to get to know any place they visit like a local. Travel is not just about wearing sunglasses and a t-shirt, checking out the main tourist attractions and snapping pictures. You need to understand the people, the culture, the food and feel comfortable talking, eating and traveling in a bus or train with the locals. And who better to show you how to enjoy the many pleasures of the Hawaiian Islands like a local than their most famous son â€“ President Barack Obama. As for food, the President enjoys the restaurants of Kapahulu on the outskirts of Waikiki. Heâ€™s especially fond of plate lunches from the Rainbow Drive-In and the 24-hour Oahu mainstay, Zippyâ€™s. He took daughters Sasha and Malia, along with some friends, for some shave ice at Island Snow in Kailua. While he was playing golf at the Olomana Golf Links, Obama also wolfed down two spam musubis â€“ which is a rice ball, with a slice of cooked spam on it and wrapped with nori, or dried seaweed. Wouldnâ€™t you love to enjoy a vacation in Hawaii, just like the President? If so, now you know what to do, where to go and what to eat. That said, I’ve always wanted to go to Pearl Harbor, and I hear the beaches in Hawaii are pretty nice too. Your post just motivated me a bit more. Thanks! .-= Steve@trade show displays guru´s last blog ..Carrot Love | Carrot Art =-. would definitely enjoy the sun and surf in Hawaii but with much more privacy and freedom than what the president might have experienced. it was great that he got to spend a wonderful time with family and friends! @MiaC – That’s what I think too. President Obama certaily seemed to be enjoying his vacation, even with all the publicity. It’s even more fun without all the restrictions he faces. Leaving for vacation in Hawaii in 2 weeks and looking forward to visiting the places you mentioned, sans Secret Service. Thanks for the info! is he really young obama? .-= m4stonoÂ´s last blog ..Javanese Spiritualism part 2 =-. some day I so want to visit Hawaii myself! Beautiful place! .-= Ingrid´s last blog ..Biker-trio on the road =-. yeah, you won’t get same treatment as Obama gets, but still if you are familiar with destination place then you can make your way out, Hawaii is beautiful destination and mine fav too including Lanai,Molokai, Ohau, Kauai and Nihau. Glad to see your back to blogging. Looking forward to more posts!!! Somehow I just can’t imagine President Obama eating some riceballs with cooked spam on them. I wouldn’t mind though, after a great day on the beach. Man, I would LOVE to try one of those musubis!!! I’m a die-hard Spam fan anyway, but hooking it up with the nori must be the real deal. It would be awesome to take a vacation but I am barely above water on the bills, something tells me you hav eto be as rich as a President now adays to take a avacation. I do hope, O’ becomes a role model for other leaders in the rest of the world. Like Ingrid i also want to visit Hawaii. I love the beaches! I also want to compare if beaches in Hawaii are comparable to Boracay in the Philippines. .-= hypnosisadminÂ´s last blog ..Have You Ever Wanted Something So Much You Couldnâ€™t Get It? =-. Who really cares though what Obama eats or does on vacation? .-= TV StandsÂ´s last blog ..Big Screen TV Stands =-. I do agree that travel is not just wearing sunglasses or snapping picture but we need to understand about the culture, the food, the people and join with locals. .-= stormcharityÂ´s last blog ..The DINGO =-. Thanks for the info. Hawaii is on my ‘to-do’ list of places to see, and now I know a bit more about what to look for when I get there. Of course, having some one else pay for it would be nice! .-= scott@top gbg distributor´s last blog ..Congratulations – New Team Member Advancements! =-. BTW its great to see some activity on this site again!! Glad to see the activity! Oh guest poster !! Where are you derek? I love Hawaii….very cool club scene. Travel packages for Hawaii are without a doubt one of the best deals available in the travel industry. As one of the largest tourist destinations in the world, and the fact that Hawaii lies in the middle of Asia and North America, you can find great package deals throughout the year. Here are a few tips that will help you find travel packages that suit your needs. Compare the difference between package versus hotel deals. In my experience you’ll get a better deal overall with the travel package, which includes hotel, car and flights. However, there are always airfare deals out there, so shop around; you can always book the hotel special to obtain a free night (provided you book five nights). .-= Brewster@Little Coloured Bricks´s last blog ..Ninja Assassin Trailer and Legos =-. I think it is truly wonderful to have a president in the White House who can appreciate some great Hawaiian comfort food–who actually knows what a loco moco plate is and probably nibbles on malasadas and chichi dango, too. Sasha and Malia should convince their Dad to install a shaved ice machine at the residence. It’s always good to see a president on a personal level. .-= Max´s last blog ..List of Web Design Mistakes You Should Avoid =-. Not a big fan of Hawaii…was there on spring break, not enough nightlife. I guess President Obama and family decided to try a different island vacation this month: Martha’s Vineyard versus Oahu. I wonder which one the kids prefer? I too would love to check out the sites Hawaii has to offer – maybe soon! Need to add to my Forex Trading profits first! .-= Annabel@Forex Trading´s last blog ..Forex Robot Reviews â€“ Do Forex Robots Really Work? =-. Dang… I wanna take a 12 day vacation in Hawaii! Hell, ill even take a week vacation in Vegas. I would love to visit Hawaii. One of my best friends is from there. That picture of Obama is very cool. Those places to go would be at the top of my priority list. .-= Eren Mckay´s last blog ..Important papers organizer & how you can organize office papers =-. Those are some nice pictures of Obama that I have never seen, thanks so much for sharing. I went to Hawaii once, but I was on the way to Indonesia and didn’t get to spend much time. I would love to go back and vacation there. Nice post. .-= Chuck @ Blogging For Profit´s last blog ..The Blogging Good, The Bad And The Ugly! =-. At least Obama is reforming the health care now, so let’s let him stay at any hotel he wants, as long as he accomplishes what he promised on the election. Whoa, I would kill to be able to go on a vacation like that! I think the best one I’ve ever really had as a 5 day trip to Lake Tahoe! That food in the photo really kind of looks gross! Jack – where in Lake Tahoe do you suggest going? I’ll be there next month and have never been. Like most of the people here in NZ we are pro Obama, and I have to admit to lean a little to the right. I wonder what the family felt like when they had the most recent vacation, must be a little chaotic because Obama just won the presidential election. Anyway, I find the list helpful. My husband and I are planning to have our 2nd honeymoon vacation in Hawaii next year. Sounds like he had a wonderful trip. i would love to follow in his footsteps if I just had the money he does! Well I will keep dreaming of my trip to Hawaii, maybe someday! This looks like the best vacation ever! Thanks for posting this info for those of us who don’t know anything about Hawaii. Hawaii is such a great travel destination. I’m really surprised that there are other commenters here who don’t seem to like it. Maybe they didn’t go to the right places? Sandy Beach (which you mentioned) is pretty special–a good place to start a Hawaii trip. .-= Spot@cheap cruise tips´s last blog ..LOST Hawaii =-. I hope to get to Hawaii for a vacation and some serious snorkeling sometime soon. .-= Gav@SnorkelingSet´s last blog ..Snorkeling Fin Options =-. .-= gilles@como ganar dinero´s last blog ..Como ganar dinero con Adsense =-. President Barrack Obama should try Boracay islands or the Bantayan Islands in the Philippines. My family and I went to Hawaii last month and we were blown away. However I am sure that we did not get the same treatment that the president got. However that is fine by me as I do not want all that attention. .-= Deborah@Panic Attack Symptoms´s last undefined ..If you register your site for free at =-. New post = thx. Tired of having to see the Obaminator with his shirt off. The food doesnt look bad, except for whatever that thing is in the bottom right. It would be awesome to take a vacation but I am barely above water on the bills, something tells me you hav eto be as rich as a President now adays to take a avacation. Thanks for a good job. .-= Victor´s last blog ..Top Five Reasons: People Succeed to Make Money Online =-. Hawaii is on my vacation destinations list but I’d prefer alot better type of food on my trip. .-= arnold´s last blog ..Riverstone Castle =-. nice itinerary. 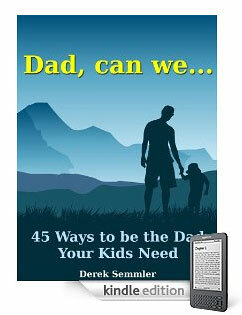 I really like whenever he treats his kids for ice cream bar, cheese burger or snow cone. i think this is the most popular hawaii beach rental in Kailua oahu .. Oahu Lani and great pavilion are the same right? .-= hawaiianÂ´s last blog …Maui Hawaii Luxury Villa Vacation Rental =-. I was looking for Obama’s babay picture to use for my school project. Thanks for sharing! He looks really cute. Thanks for the pics. I have never seen these before! It looks like his skin got a lot lighter. I think we could all learn something from Obama. I mean he’s the President and we all know how busy this man is. Nevertheless, he seem to have full control of his time to maintain a work-life balance. He’s never been rumored to have neglected family and himself. We even see him playing basketball during his break. I guess that’s why he’s so effective and efficient. Isn’t he always on vacation? Thanks for sharing. I’d love to go to Hawaii and I’ve been planning to go there and now i know where to go. Keep up the good work! Haha. Loved the pictures! 😀 And I’ve myself been contemplating visit Hawaii. Just haven’t found enough time yet.